According to a recent study, the top seven most visited countries in Europe are France, Spain, Italy, United Kingdom, Turkey, Germany and Austria (in that order). Italy is ranked third on the list and receives millions of visitors every year. Not a surprise considering that it has two popular Wonders of the World - the Roman Colosseum and the Leaning Tower of Pisa - in addition to number of stunning sceneries and landscapes. Visitors to Italy come not only for its monuments and landscapes but also for its culture, art scene and cuisine. You must have heard about the many popular cities and regions of Italy - Cinque Terre, Como, Venice, Tuscany, Naples, the Amalfi Coast, Sicily to name a few. This post, however, is about a small city called Orvieto which is located in southwestern Umbria (in central Italy). Orvieto is situated on the summit of a large, flat hill made of volcanic ash rock. Radhika Sharma, who is a fellow travel blogger (co-founder of the blog, Nomllers) and an avid YouTuber has shared her thoughts on Orvieto and Civita. Over to her! Orvieto – this lovely find happened totally by chance. I had no plans to visit Orvieto when I was in Italy. I actually did not even know that such a place existed. While I was in Rome, I got bored of the crowd and chaos and looked up the web to find less crowded and offbeat places nearby. Luckily on a listicle article, I read briefly about Orvieto and decided to take my chances. It was one of the best places I visited in Italy. 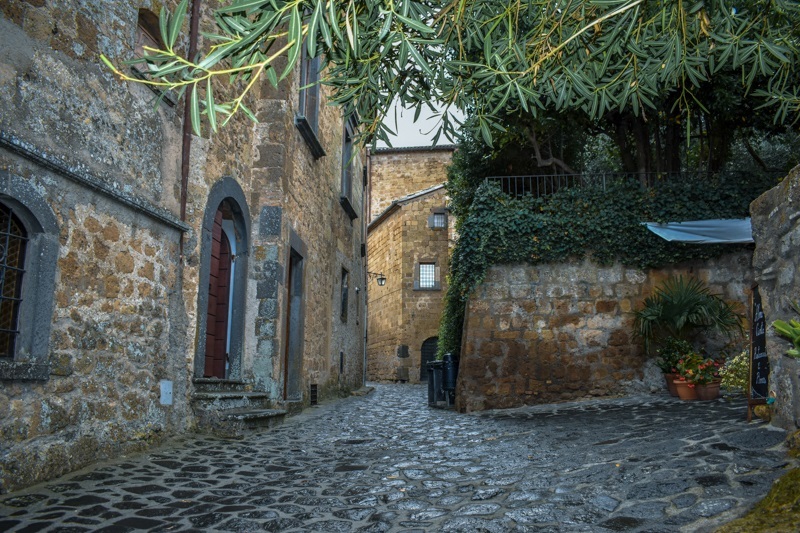 From Orvieto one can visit another small town called Civita and it feels like a castle of the olden times. I recommend both the places if you are looking to plan something offbeat in Italy. Below, you will find a guide to both the places. Orvieto is a small town in Umbria region of Italy. It is uncrowded and unspoilt and lies on an elevated position which affords picturesque views. Train : There are direct trains from Rome to Orvieto. It is just an hour’s ride that starts from the Terimini station. Getting a ticket to this place is easy and costs between €7 to €15 depending on the train you decide to take - regional or intercity train. 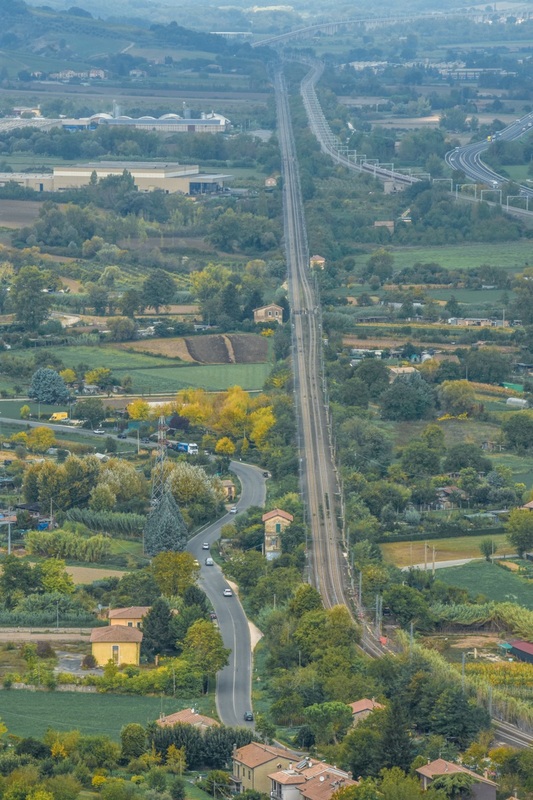 You can also arrive at Orvieto from Florence, which is at a distance of around 2 hours. Funicular : When you get down at Orvieto train station, right outside the train station there is Funicular which runs every 10 minutes. Tickets can be purchased from near the train station and the funicular takes you to the top of the city centre. The ticket costs €1.30 per person. Local Bus : There are local buses, as well, that run from right outside the train station. Orvieto is not a large town and as such there is not a lot of sights to see or things to do. The best way to enjoy the town is to just wander around and explore it. Follow your senses and enjoy the ambience of the town and the lovely views that it offers. Related | Heading to Italy? Italy's Best Trips with over 40 amazing road trips through the country would be a good book to have. It is packed full of expert advice and will ensure that you get the most out of every place you visit. As soon as you reach the top of the city centre, take a left where you will find the Public gardens and a fort. From here, you can see the stunning view of the valleys and the towns below. It is really surreal and green. You will fall in love with the beauty of nature. And the best part, there is no entrance fee for visiting these. Orvieto is unique for a reason. Over here, there are more than 1200 tunnels and caves which are around 2500 years old. In addition to the tunnels and caves, you will also find cisterns, cellars, wells, and secret tunnels which were used for escape in the olden days. However, for these you need to go on a guided tour and I highly recommend this tour as it is a unique thing to experience. The caves were used for food storage and bomb shelter. In fact, you will be able to see remnants of life here. This Duomo is one of the most beautiful Duomo (Italian for church) of Italy and dates back to 1290. It took four centuries to finish it and is decorated with black and white stone with rose windows. The interiors are decorated with frescos by Fra Angelico and Signorelli, wooden choir stalls and sculptures. There is also the beautiful Chapel of San Brizio. To enter this Duomo, you have to pay €4. The opening times are mostly 9.30 am to 6.00 pm except for Sundays. If you want a bird’s eye view of the surroundings, Torre del Moro is the place to go. 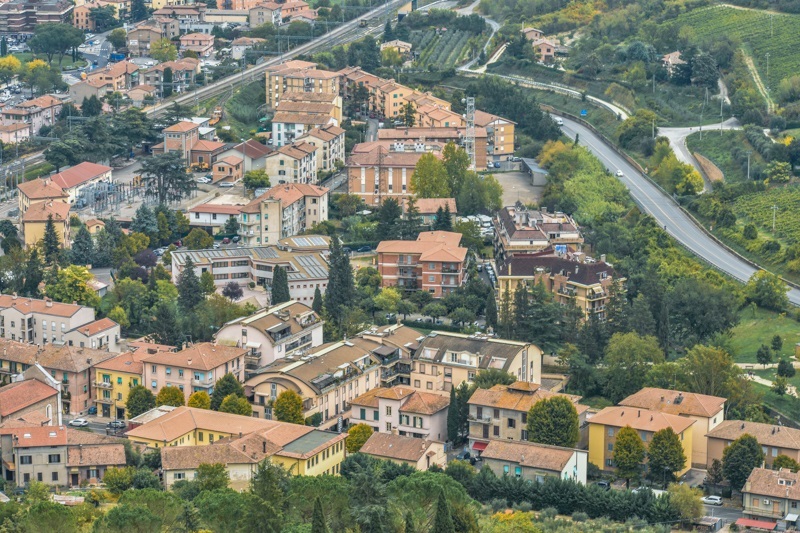 You have to climb 250 steps but it offers a stunning 360-degree view of Orvieto. Tickets are €2.80 and are free for children up to 10 years of age. The 13th-century Palazzo del Popolo was earlier the palace of Capitano del Popolo. Later it was home to the Mayor of Orvieto. Today it is used as a conference center. Below are a few Orvieto tours that you might find of interest. Finding a room in Orvieto is not difficult. You can find several hotels, B&Bs and vacation rentals with varied price range. Some of the places you can check out are Hotel Virgilio, B&B Ripa Medici, B&B Magnolia, Hotel Virgilio and Hotel Palazzo Piccolomini. For regional cuisine, head to Trattoria del Moro, L’Antica Rupe, La Palomba or Osteria del Grillo. You can also check out Pizzeria Charlie, Gelateria Pasqualetti, L’Officina del Gelato. 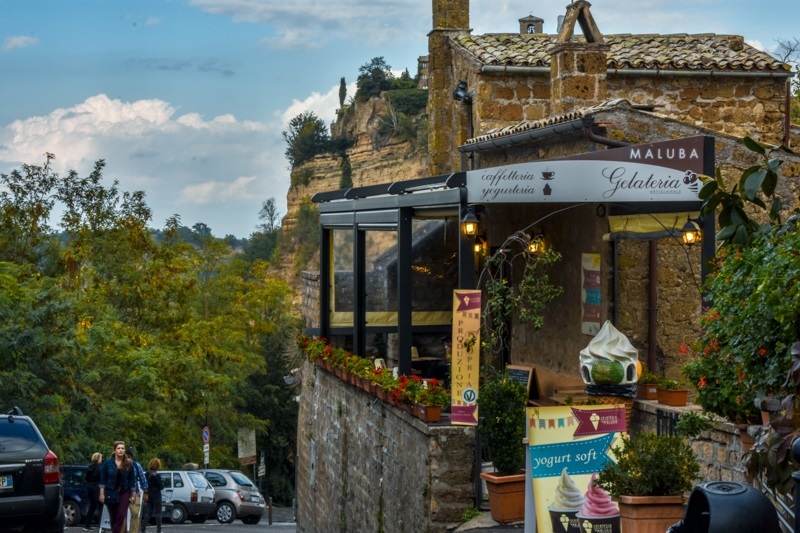 Most of the eateries/restaurants in Orvieto serve great local food in a friendly atmosphere. 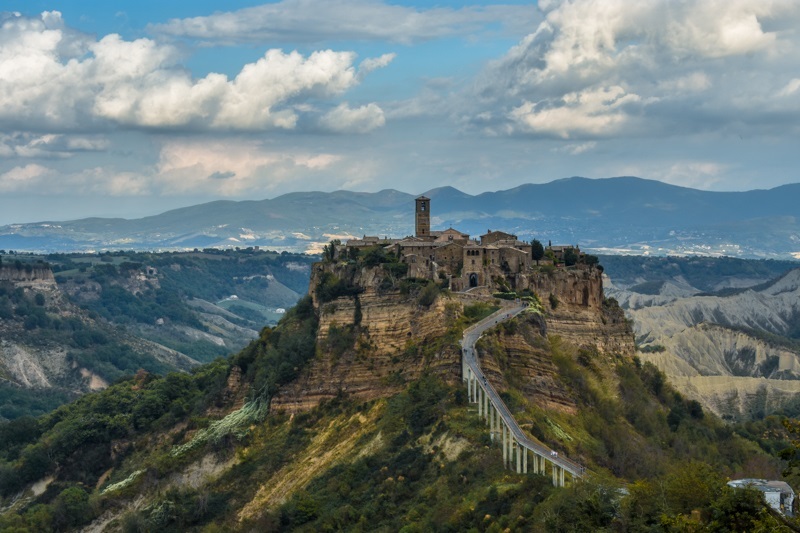 Civita, a dying town, with less than 20 residents, is not only beautiful but also has a lot of history attached to it. It is situated on the top of the hill while the valleys are surrounded by Chiaro and Torbido streams. Due to constant erosion, it feels that Civita is clinging to a cliff. Civita has faced several earthquakes which caused severe damage to the entire town. Today, in fact, only a very small number of people live there. Famously known as the dying town, it was built around 2500 years ago. The entrance to the town is through a pedestrian bridge spanning 300 metres. The families that stay here used to carry their stock on donkeys until few years back. You can also see St. Donato Church, Bishop Palace and Santa Maria’s gates. To reach Civita from Orvieto, there is a bus that leaves from Piazza della Pace (at the lower level of the Orvieto train station). You can reach the Piazza easily by the funicular service. There is a bus every two hours which travels through idyllic hillside and mountain roads. The entire journey is very romantic. You can even opt to hire a rental car from Orvieto. If you are looking for offbeat destinations, are a nature lover or if you enjoy peace/solitude and want to get away from the crowds, then these two places are for you. They have the ability to take you back in time and are so serene at the same time. It feels like one is in another dimension altogether. Based on my experience, I highly recommend the inclusion of these places in your bucket list, if you are traveling to Italy. Yes, it is a lovely little gem!